Your living room is your sociable place where you gather with family, friends and even welcome your guest. Therefore you need something to make your living room elegant and functional as well. The living room sofa-bed is a piece of furniture that can meet your needs and satisfy your elegant taste. 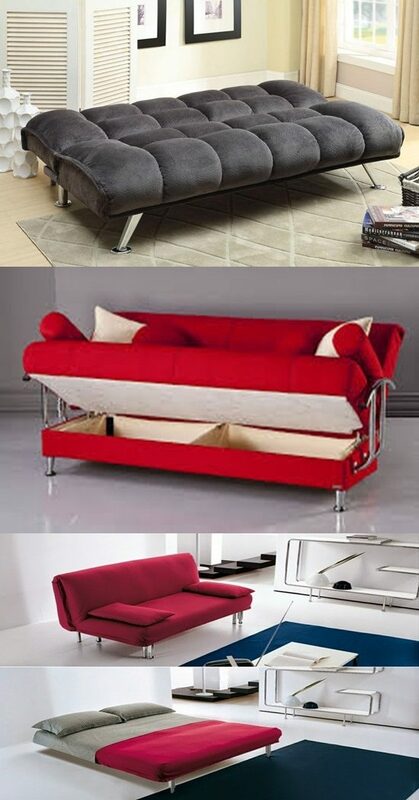 The sofa-bed is ideal for your living room because of its various benefits. Above all it has double functions; it can be a very comfortable seating area which can offer additional seating area for your guests. At the same time it can be converted into a wonderful bed at night. This amazing piece “Sofa-Bed” is so popular for its flexibility and because it fits well your living room area whether it is small or big. The sofa-bed has wide range of styles, designs, colors and materials, so it is the best choice for everyone to match his décor. With its variety you can choose the size and shape that contrast with your living room. One other advantage is that it can also fit your budget; you don’t have to worry about the price. The beautiful design and shape of the Sofa-bed will enhance the overall look of your living room. It can be made of leather or fabrics or even mix with both of them. The leather is so classy and luxurious, it is slightly expensive but it is easy to clean and maintain than fabrics. The sofa-bed is amazing also because it is durable, last long and add elegance to your home. Nowadays the designers add extra technology and improve all its features and mechanisms to be more comfortable and functional. When you decide to pick a sofa-bed, you need to search online and take a look around to see its variety. It is recommended to pick a leather sofa bed which has many colors with a metal frame and polyurethane foam cover. This one is sturdy and more durable moreover it is elegant look. At the end whatever sofa-bed you want to buy, you should pick the one that fit your décor, comfortable and strong enough to last for a long time.